Who Will Win AI For The Enterprise? When it comes to getting the most out of artificial intelligence, large quantities of high-quality data are essential. For example, thanks to their massive data sets, Google’s algorithms have learned to read lips by watching thousands of hours of television, and to tag images better than humans. 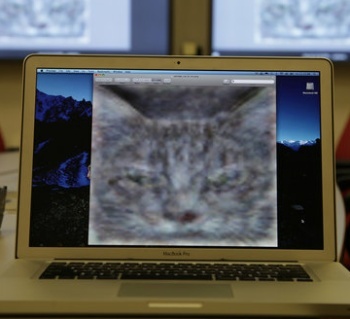 The algorithms were even able to discern the concept of a “cat” from first principles, using the vast contents of Google’s YouTube video library. Machine-learning algorithms are now being applied to the world of work, and they will be able to process much larger data sets than human experts. For example, a radiologist who looks at medical scans for a living might see tens of thousands of them over a lifetime, developing deep expertise. But an algorithm may have access to the same number every day — enough data to potentially overwhelm the advantages of human intuition. The same thing is now starting to happen in the enterprise. Every day, millions of people in organizations around the world make hundreds of small decisions: Which invoices does this payment correspond to? Which of these resumes should I shortlist for an open position? What additional product should I try to sell to the person at the cash desk? As an industry, we have an incredible opportunity to automate some of these decisions in order to free up existing resources for more digital transformation, make life simpler for our staff, and improve the experience of our customers. And the companies who can do this best will be the ones that have the most data and can apply that data to best-practice business processes. 2017 is going to be a very exciting time for enterprise applications — watch this space! For more on advanced analytics and machine learning, see Heard Around The Machine-Learning Campfire.